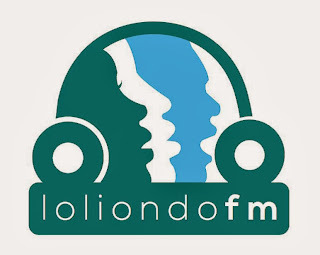 Loliondo Community Radio - Loliondo FM has started its testing on equipment and reach since November 4th, 2013. During this time, the Radio has been received in most parts of Ngorongoro, Tarime, Serengeti and Bunda districts. The response from the audience is tremendous. Also during this time, the officers from Tanzania Communication and Regulatory Authority Northern Zone visited the Radio for their normal inspection and to use the platform to inform and educate the listeners of Loliondo Radio on regulations, rights and duties of communication related services from different providers of communication services. It is also during this time, that we hosted the officers from Southern African Centre for Infectious Disease Surveillance (SACIDS) who wish to learn about the Loliondo Community Radio and ways that they can use to air their research findings and programmes to the people of Ngorongoro district. And finally, for the last three days, the staff of Loliondo FM Radio have been participating in a training faciliatted by Media Institute of Southern Africa - Tanzania Chapter (MISA-TAN) on blogging, audio editing, podcasting, social media and internet security. It is a good training. The month of November was ours in Loliondo Community Radio - we got people talking and they talked. Soon we will begin to air our programmes such Bunge la Jamii (Peoples Parliament), Mtaani Kwetu, Zamani Siku Hizi, Njia Panda, Ijue Sheria, Maisha Mix - Elimu, Afya, Ufugaji na Kilimo), Lipa Deni and man more entertaining programmes. The Loliondo Community Radio has opened the airwaves and we shall keep the ball rolling, with you all the way! The Loliondo FM Radio is a community Radio station established by IrkiRamat Foundation (RAMAT) to promote active citizenship for the people of Ngorongoro and link them with the rest of the country. It operates from Ololosokwan village in Loliondo division. The management and staff of Loliondo FM Radio take this great opportunity to thank the supporters and beneficiary community of Loliondo FM Radio through their deccation and commitment to support this radio. This blog will serve news, programmes and other radio features for you on a regular basis so that you remain informed and updated. I am the Director of Loliondo FM Radio and IrkiRamat Foundation, and my name is Yannick Ndoinyo. I am a Maasai and was born in 1974 in Ololosokwan. I went to Ololosokwan Primary School, Arusha Catholic Seminary (secondary school) and University of Dar-es-Salaam for my degree. After many years of working outside my community, I am now back working hand in hand with community to address challenges and obstacles to advancement. The radio station is one of the strategies for addressing those obstacles of being "locked" in a district without information.